making process down a little bit for you all to see. 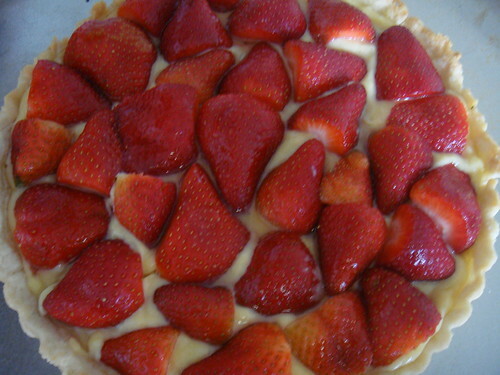 We used Smith Creamery milk and a recipe from a Mario Batali book. bread is heaven. The rest of it is going in some lasagna tonight. someone else in class wearing one. This thing really does work. 6 oz beer. double everything to use the whole can, or just drink it. 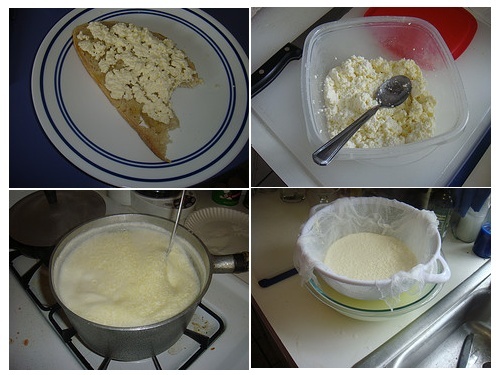 Mix dry stuff, cut up the butter or melt it before adding the beer. at 450 until brown - 15-20 minutes. DSC00853, originally uploaded by Noladishu. 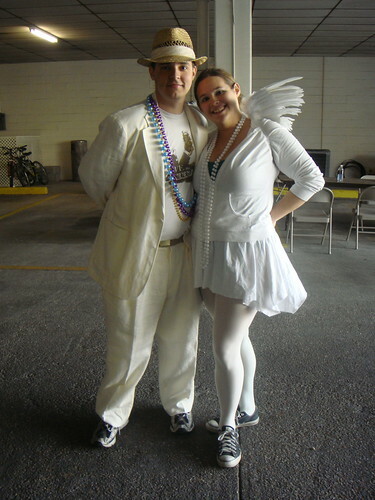 We went out today to go wander the quarter mid-day or so, caught the St. Anne parade, and a lot of costumed people. Saw a bunch of friends out which is always cool. 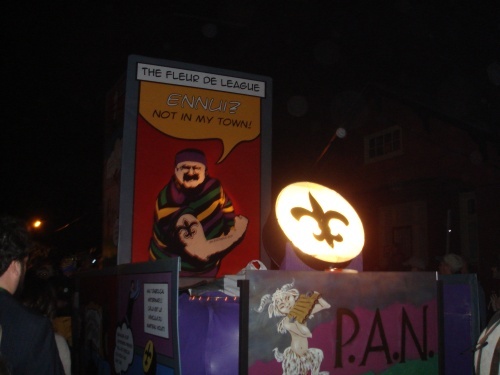 Pictures: St. Anne, Mid-City and Thoth, and some scraps. air makes the pictures harder to take. DSC00348, originally uploaded by Noladishu. 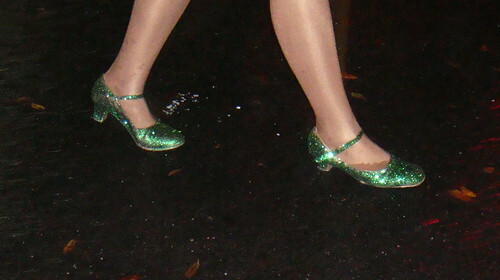 The parade route in Orleans is something on the order of about six miles - depending on the parade - and John McDonough Sr. High had some dancers marching in Oshun wearing fabulous sparkly high heeled character shoes. Do I need to tell you that these girls are badass? 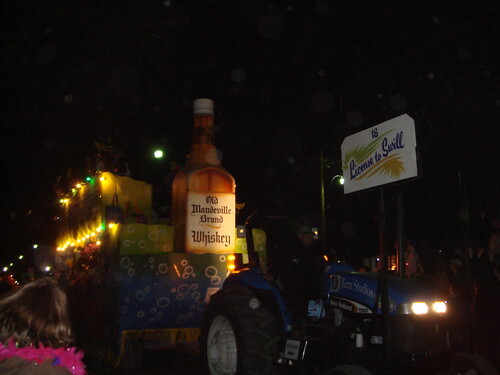 Considering they will probably do at least four more parades between now and Mardi Gras, too. Very cool. february09 094, originally uploaded by candice quates. 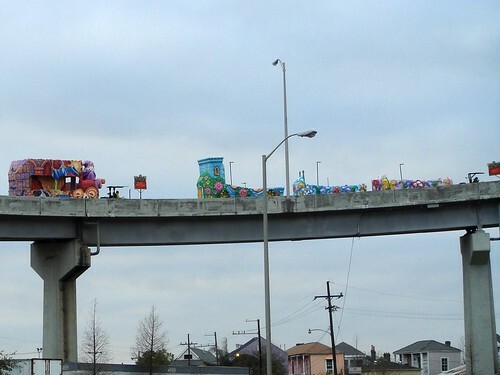 Got stuck in traffic behind these guys on Sunday afternoon - really weird seeing the floats all up there with no riders on the high onramps to the crescent city connections. A few more pictures in a set here. DSC00373, originally uploaded by Noladishu. 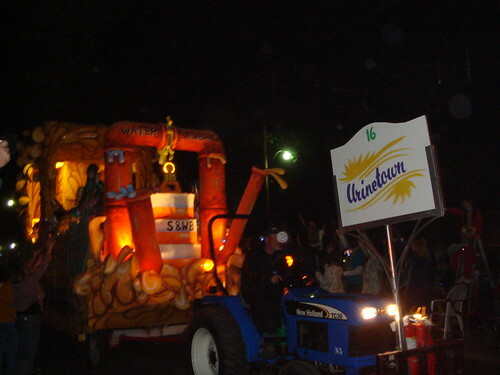 picture gods blessed me with a decent picture of the float. DSC00230, originally uploaded by Noladishu. So, we drove out to the east Saturday evening to go check out the festivities. 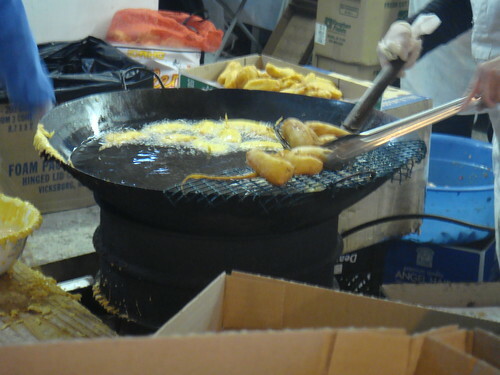 Pictured above are some really tasty fried plantains. I've been meaning to go to this for years and always end up missing it. Clay beat me to posting (and he was taking pictures anyway) so I'll just leave you with that post. New Orleans East is still all creepy and empty, y'all. Even more so at night.